Narrow base version for vehicles with a ribbed roof. All fixings, bolts and gaskets included. 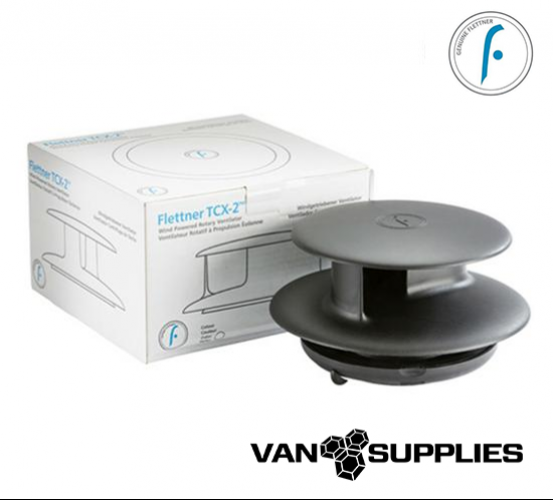 The Flettner TCX-2™ is quite simply the world’s most advanced wind-powered ventilator. With patents and design registrations held in all key global markets, and designed using state-of-the-art computational flow dynamics, the Flettner TCX-2™ has been created to maximise rotational efficiency and torque to produce very powerful extraction rates – almost twice those of the Flettner 2000 making it particularly suited to being fitted to larger vehicles or buildings. Incorporating an integral air concentrator and an ultra-efficient centrifugal fan the Flettner TCX-2™ not only leads the way in operational efficiency it is also much simpler to fit than other ventilators – cutting installation times by as much as 50%. Moreover, everything is included with the ventilator – integral bolt fixing, full fitting instructions and template, gasket and shutter – Nothing more to buy, no messy adhesives and no sourcing of fixings. As you would expect from Flettner, our fastidious approach to quality is evident throughout. – from the grades and composition of the plastics used through to the choice of only the highest grades of machined stainless steel in the shaft and bearings. 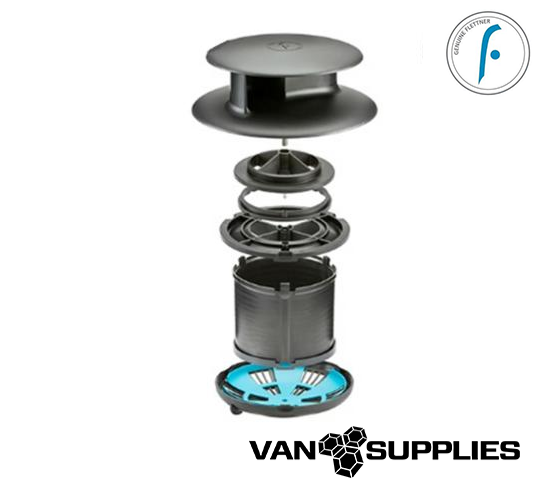 Only Flettner provide a Lifetime Warranty to give you full confidence and peace of mind – with Flettner – you can fit and forget! The Flettner TCX-2™ is available with two different roof base types, a standard base with a diameter of 145mm or 5.75″ and a narrow base with a diameter of 108mm or 4.25″. Selected the narrow base version if you are intending to fit to a vehicle with a ribbed roof. 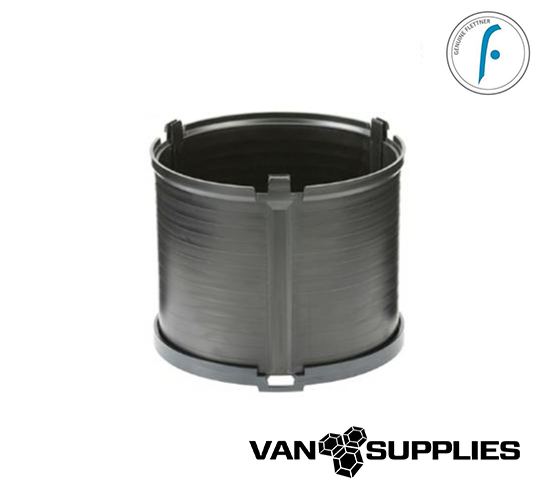 For vehicles which have an inner lining, a Flettner TCX-2™ adapter is available to bridge the gap between the outer skin and the inner lining.